Thou hast implored Us to preserve securely thy love for thy Lord. We beseech God to protect you from the evil designs of Satan and to cause thee to enter the seat of safety and security, beneath the shadow of His name, the All-Merciful. There is none other God save Him, the Mighty, the All-Glorified. And thou hast beseeched Us to protect thee from the evil of the oppressors. Spread not disorder on earth after it hath been well-ordered, that haply the tyranny of contumacious oppressors may not overtake thee. Verily, shouldst thou spread disorder, thou wouldst thyself become a tyrant; and shouldst thou become an oppressor, it behooveth God to set another tyrant over thee. This is divine justice, would that thou might perceive it. And thou hast beseeched God to give thee the means by which men wage war against one another, that by such means thou mayest render victorious thy Lord. Give ear and hearken! We, verily, have forbidden the rule of the sword and spear as an aid to our Cause and substituted for it the power born of the words proceeding out of the mouths of the people. He is He whose help is implored by all men. And thou hast implored Us to raise in thee the courage of a lion. Know, verily, that We have made the hearts of those who have become detached from the world and have turned toward the court of My name, the Most Glorious, to be as strong as brass—in such wise that nothing that is created between the heavens and the earth can frighten them. They are the lions of the forest of might and power. God hath constrained them with the chains of purity. Should it be His wish, He will free them by His command, and through them He shall conquer all who are in heaven and on earth. Verily. He hath power over all things. And thou hast asked that We make thee truly unconstrained in thy desire to attain the presence of God, in such wise that whenever thou choosest thou wouldst be free to journey towards the Court of Holiness. Know thou that, verily, by this request thou hast regarded thyself a partner of thy Lord. He alone is the Sovereign, the Unconstrained. He hath not taken, nor will ever take. a partner unto Himself. He shall give permission for attaining unto His presence as He willeth. He, verily, is the Mighty, the Unrestrained. Little is known about this tablet, but the addressee, Ali, was likely a recent Bahá’í as he was unfamiliar with one of Bahá’u’lláh’s central teachings: namely, that in this day the power of the Word has superceded the power of the sword. Ali asked Bahá’u’lláh for the means and the courage to wage war against his oppressors, which, we can infer, refers to the enemies of the Faith. In response, Bahá’u’lláh enjoined Ali to lay aside violent means lest he himself become an oppressor, and to draw, instead, on the power of the Word of God and on the courage that derives from a detached heart. Finally, Bahá’u’lláh responded to Ali’s request to access freely His Presence. Bio: Nader Saiedi teaches Bahá’í Studies at UCLA. He was born in Tehran, Iran. He holds a Master’s of Economics from Pahlavi University in Shiraz and a Ph.D. in sociology from the University of Wisconsin. For over 25 years, he was a professor of sociology at Carleton College in Northfield, Minnesota. In 2013, he became the Taslimi Foundation Professor of Bahá’í Studies in the Department of Near Eastern Languages and Cultures at UCLA. 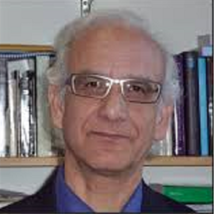 His main interests include Bábí and Bahá’í Studies, social theory, Iranian Studies, and Peace Studies. Among his published books are: The Birth of Social Theory (1993), Logos and Civilization (2000), and Gate of the Heart (2008).